We are delighted to be part of this event for so many reasons. 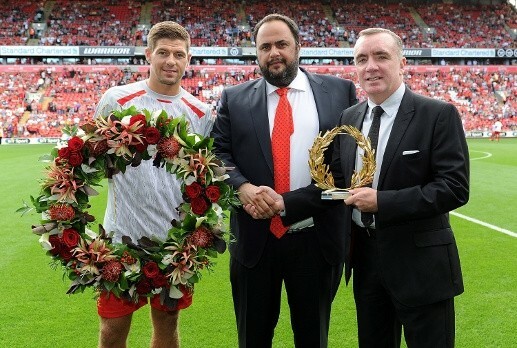 Steven Gerrard is one of the finest footballers in the world, and it is fantastic to see today a club able to support a player with a testimonial after 15 years with them - but all the more so when the player is also able to play for his hometown team and achieve so much including becoming captain of club and country. I have been a lifelong Olympiacos fan, as was my father before me, so I know only too well the pride and special feeling of being able to be part of the team that brings success to the club you've supported all of your life. Steven may have selected Olympiacos for that special goal and all it meant to him and went on to mean, but I feel the clubs have a very special resonance and connection. Olympiacos are a side from the port city Piraeus - today part of the wider Athens - the fans are famous for being the best and most passionate in Greece, creating a fantastic atmosphere in our stadium. Without any question it is their passion and commitment that has so often been the extra player that has cheered on their team in red and white to being the most successful club in Greece, reaching our 40th league title this year. So it is perhaps easy to understand why Liverpool FC are very popular with many Olympiacos fans and why when I personally came to the UK to live for a while when I was younger and why I was so naturally drawn towards supporting Liverpool - as I still do today - as the connections and similarities are so clear and strong. The clubs have been further bonded by their respective tragedies. I know all Olympiacos fans feel huge unity with Liverpool fans in the campaign for justice for the 96 as we have suffered our gate 7 tragedy where 21 supporters lost their lives just over 30 years ago. 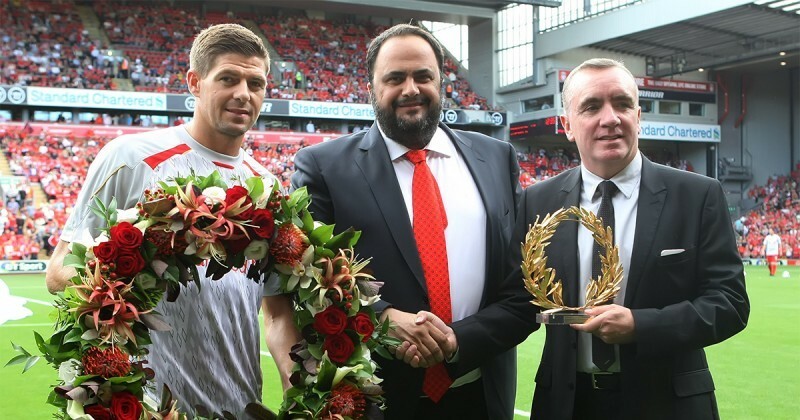 We are equally delighted Steven has chosen to donate his proceeds from this match to the Steven Gerrard Foundation, a registered charity which helps disadvantaged children. This reinforces the feeling of common understanding as we will be donating our proceeds to similar charities in Greece to aid children who are in dire need of support today. So for so many reasons when we were asked to take part, it was a very easy and quick decision. We would like to offer our congratulations to Steven for a fantastic career so far and wish him a wonderful evening.